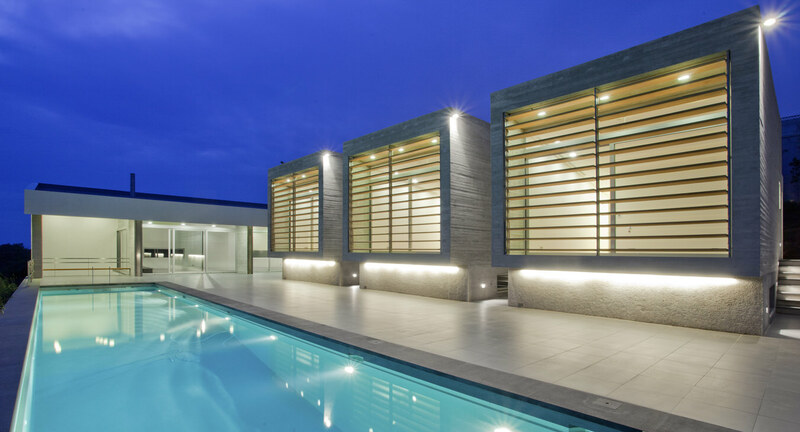 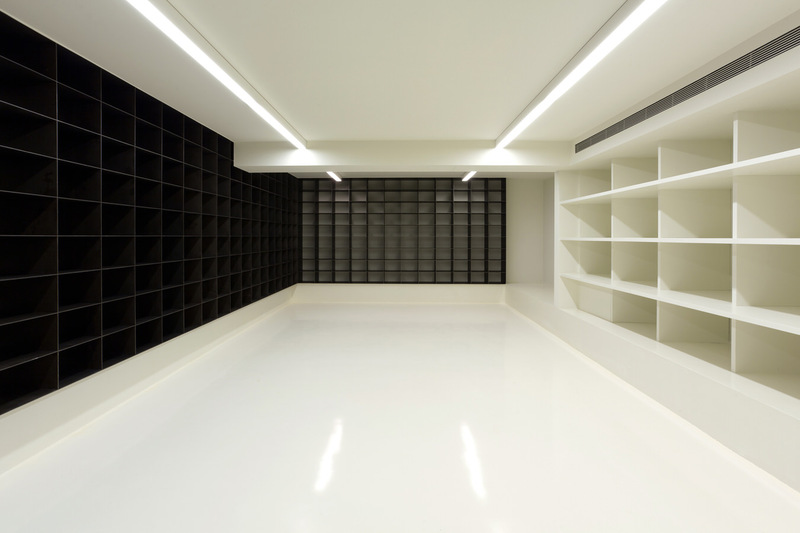 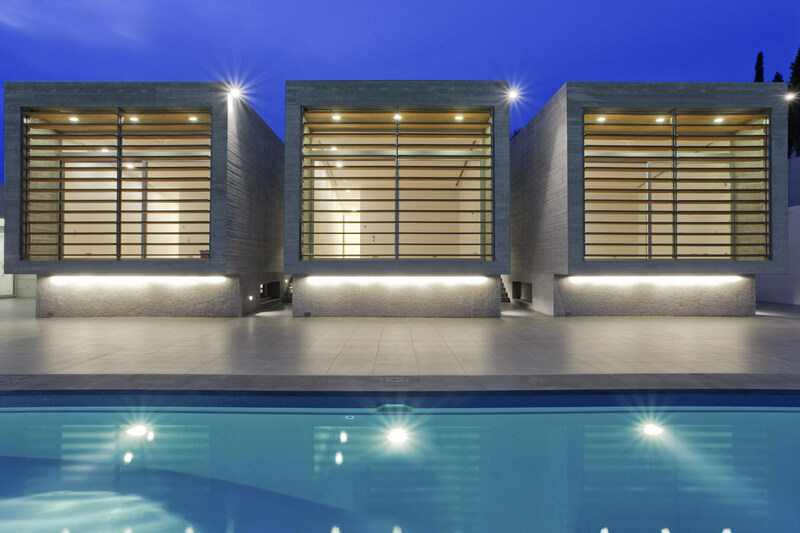 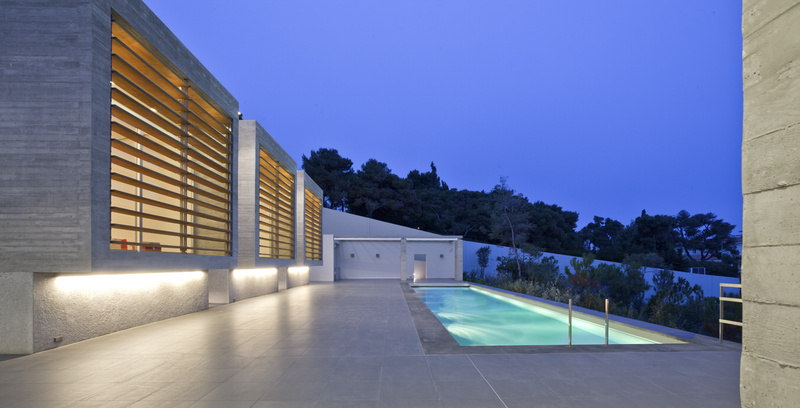 A luxury mansion located on the peninsula of Kavouri. 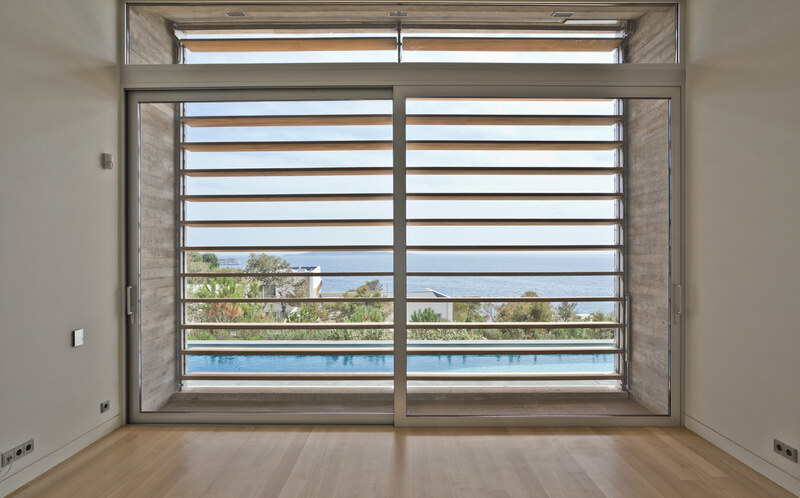 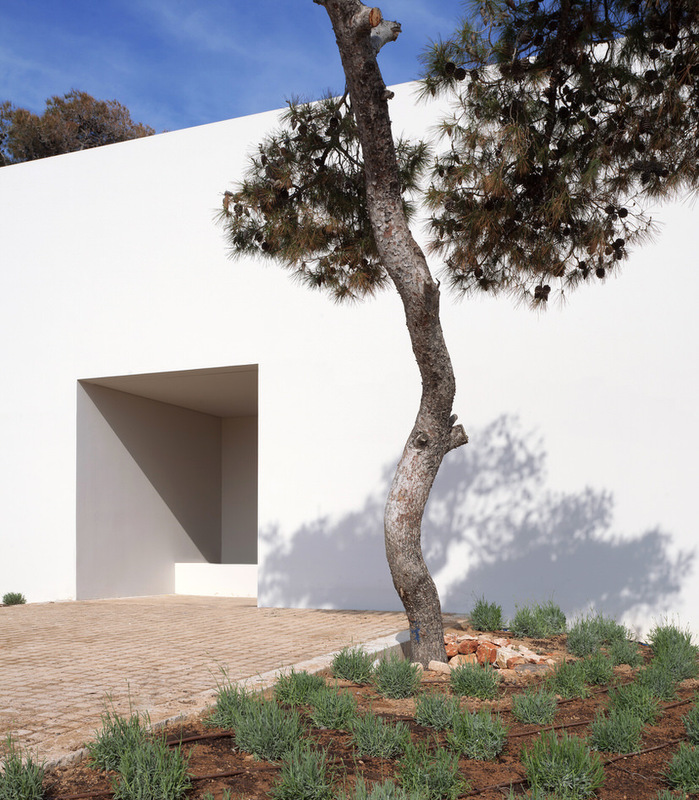 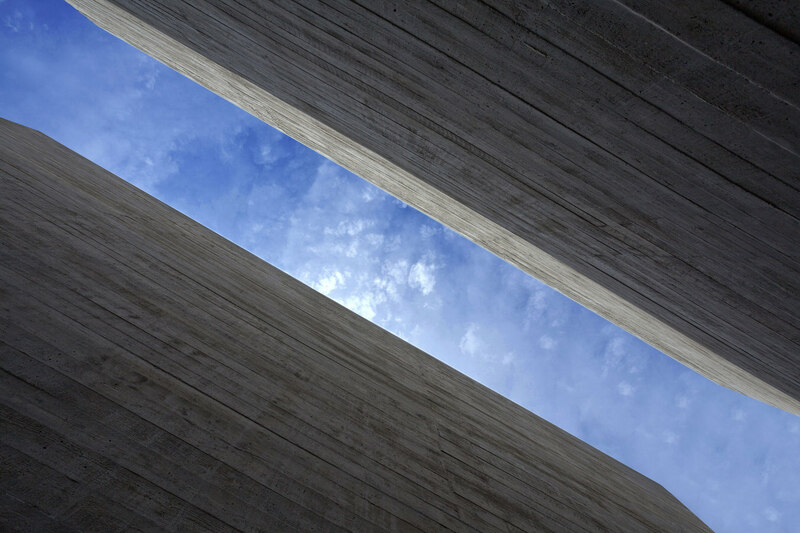 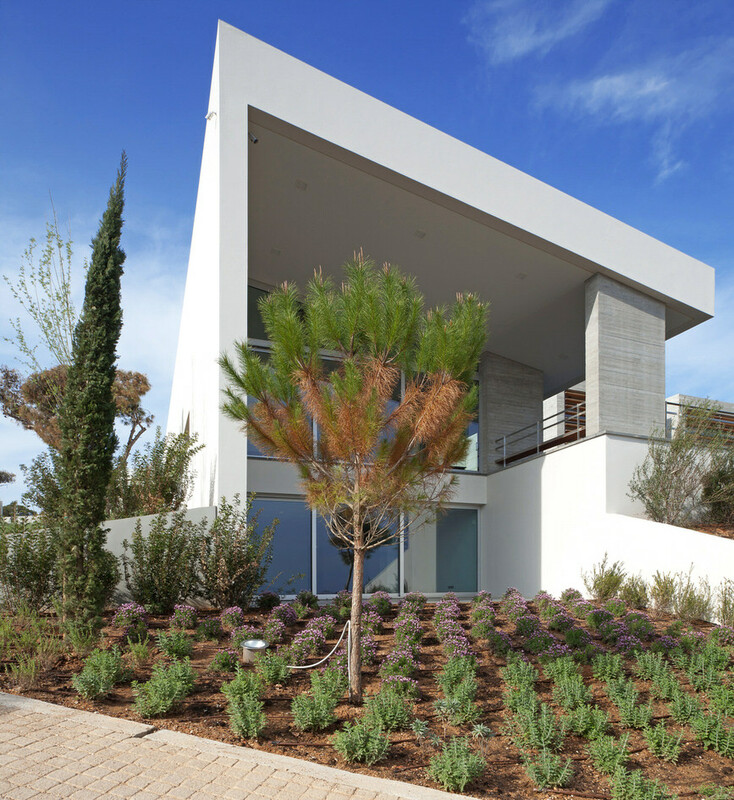 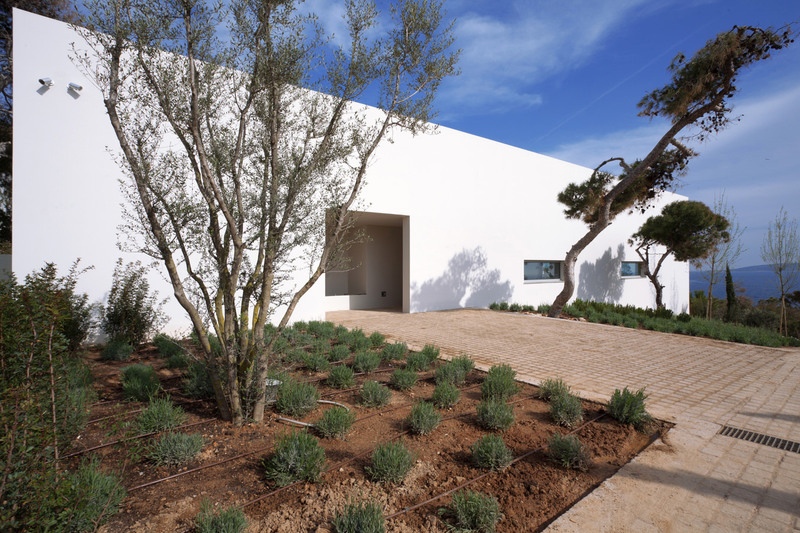 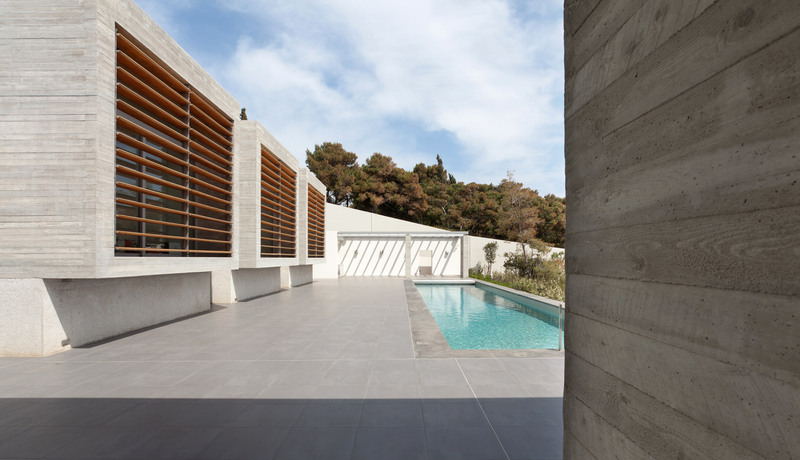 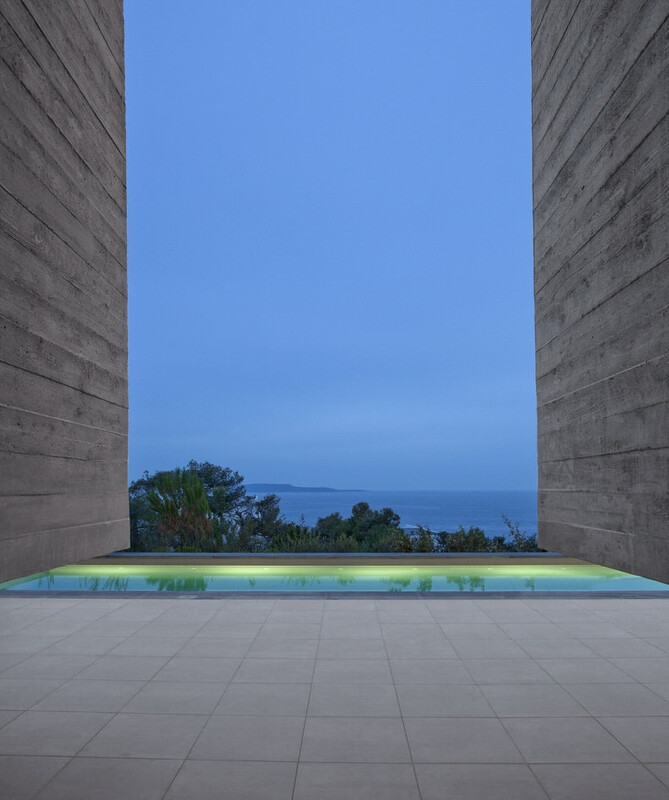 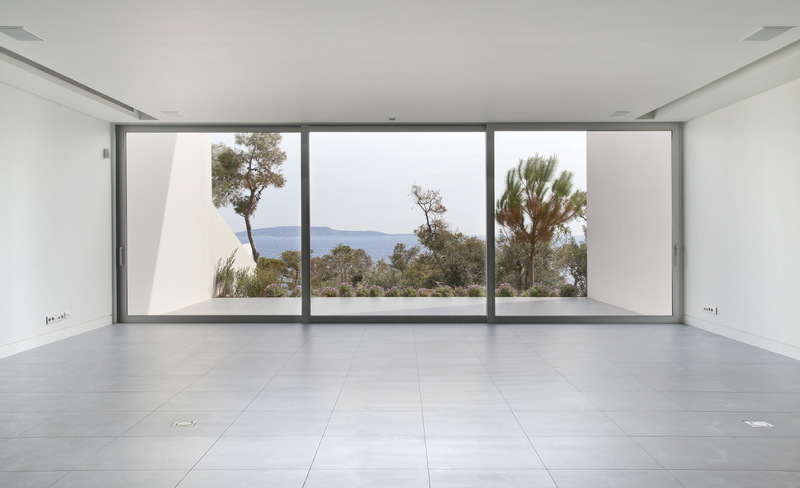 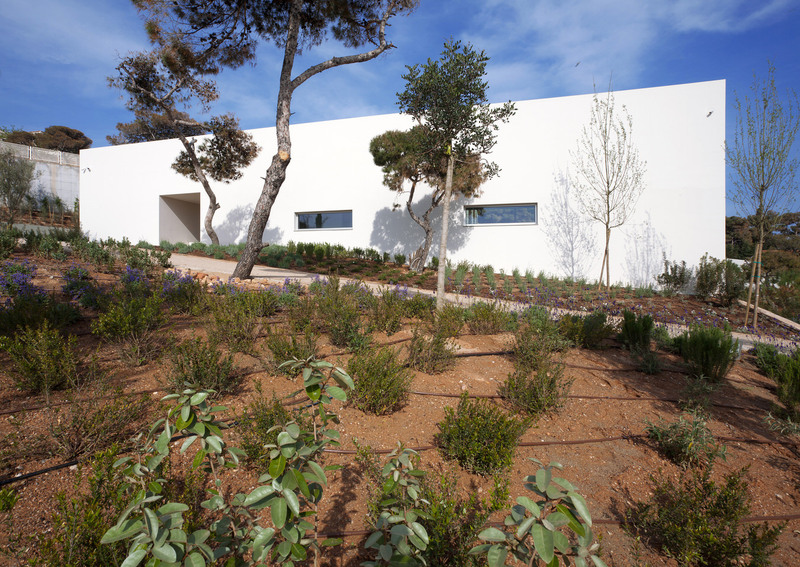 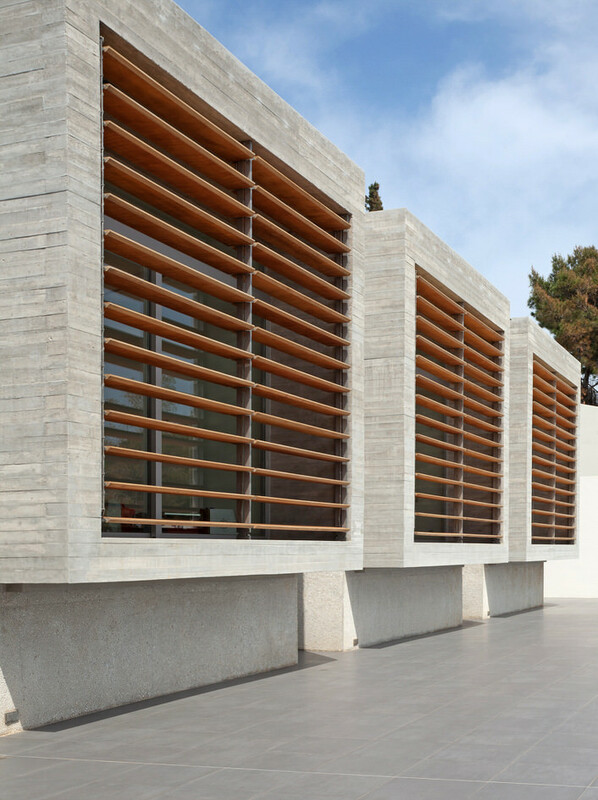 A platform, the creation of a shade and three concrete frames organize the view towards the sea, on a pine tree hill, a typical Mediterranean landscape. 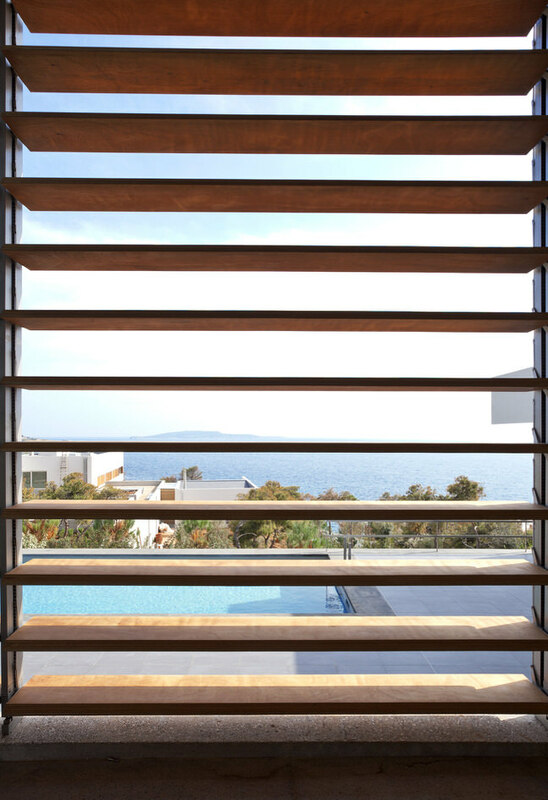 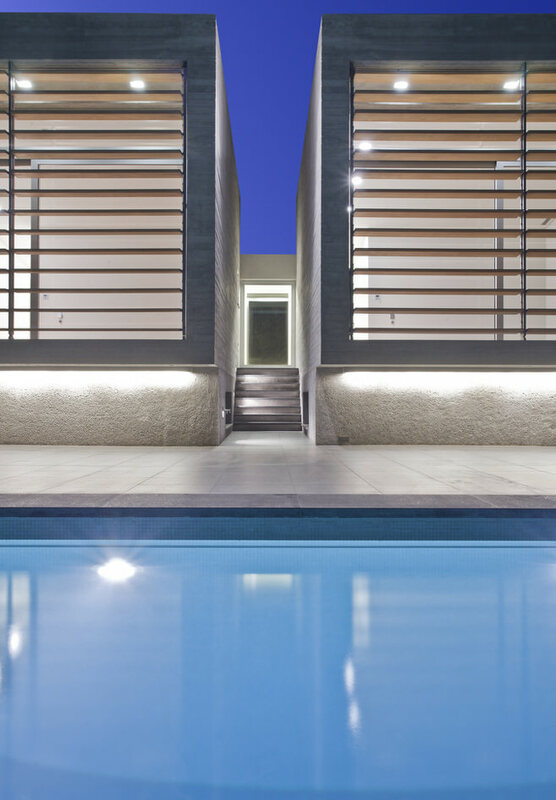 It is a family house, close to Athens, facing south towards the sea. 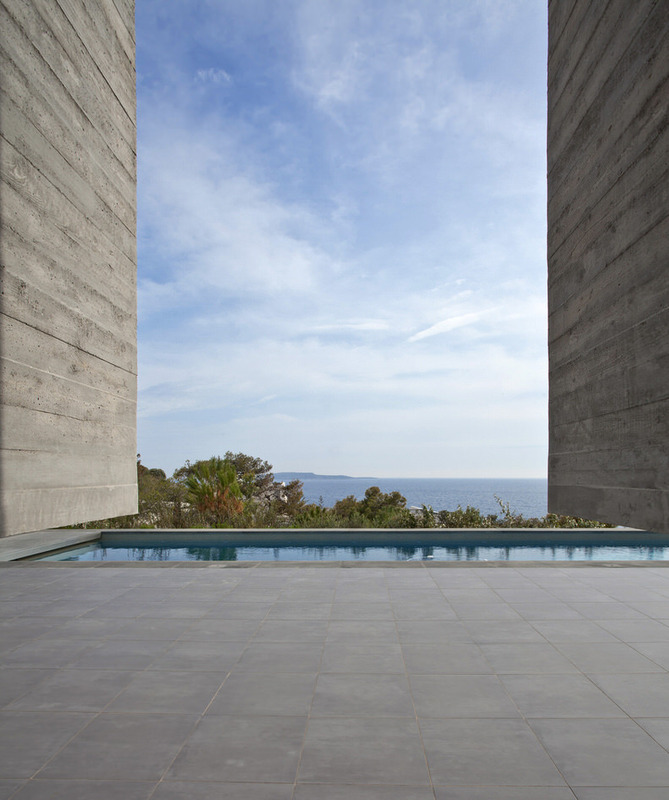 The main open space, the platform, with the swimming pool, is the center of the composition. 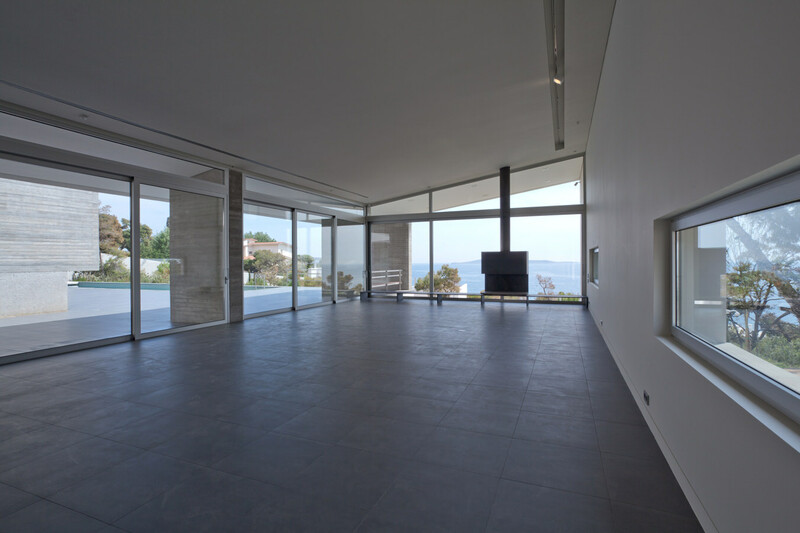 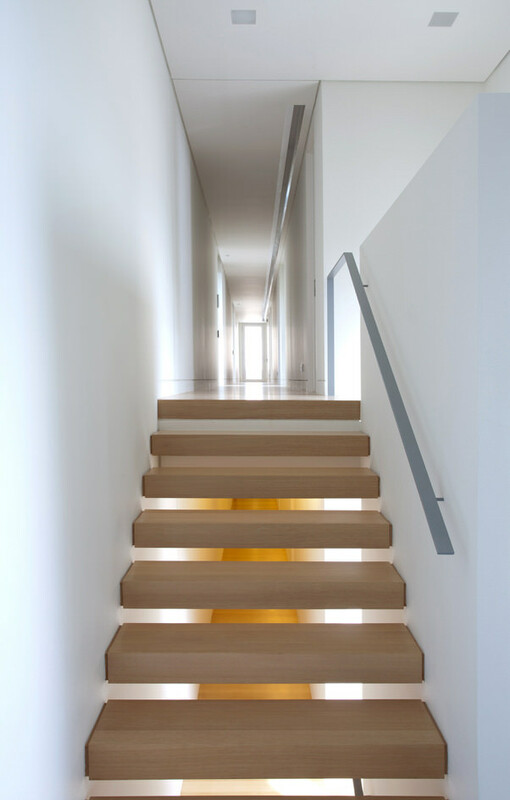 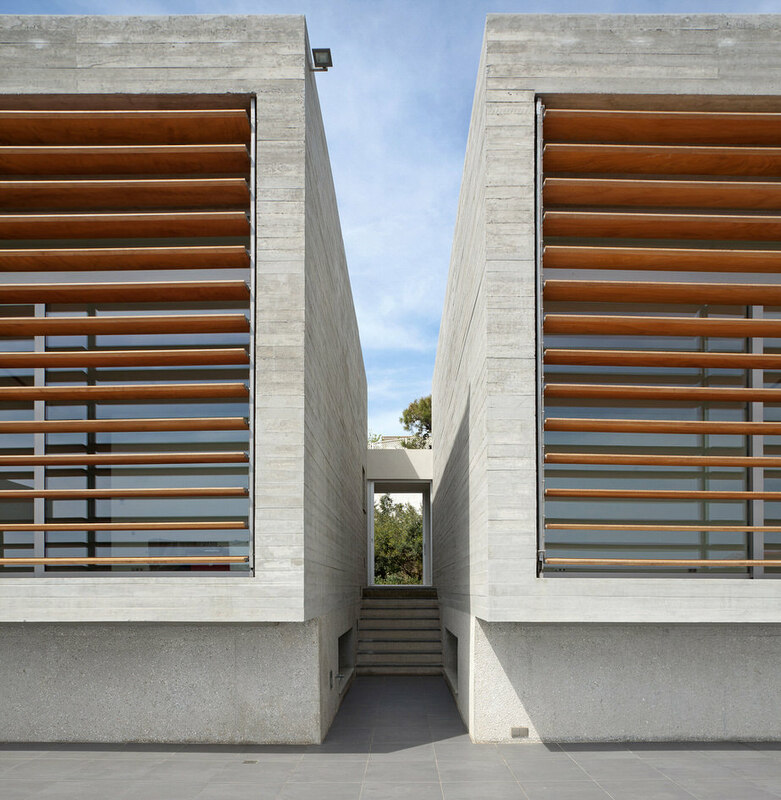 All the rooms, both of public and private function are located around this open space.Entering the house, traversing the main corridor leading to the private areas of the plan, the living room is reached offering a generous view of the sea through its southern glass wall. 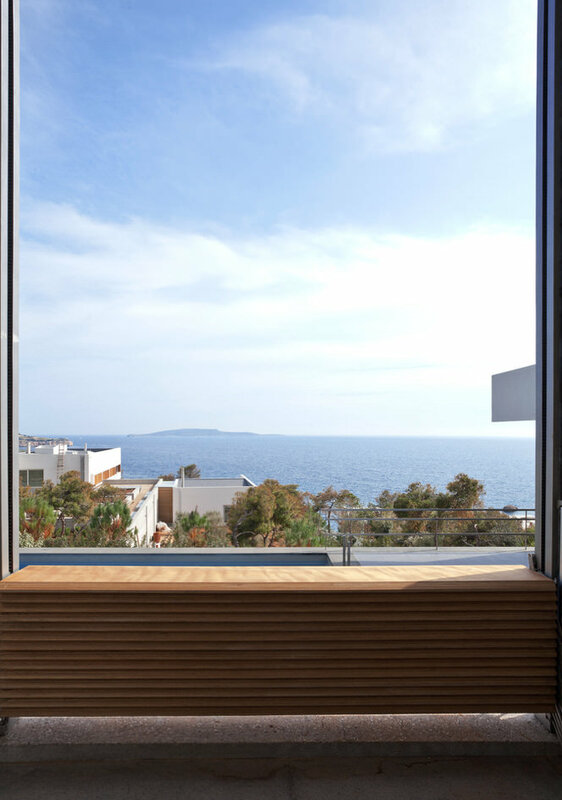 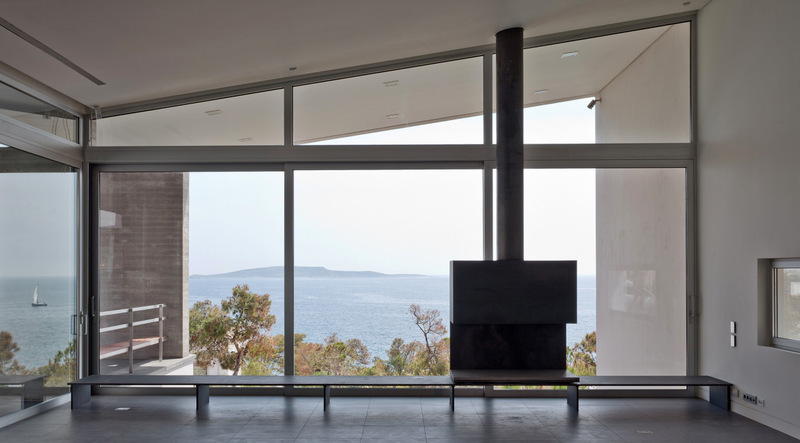 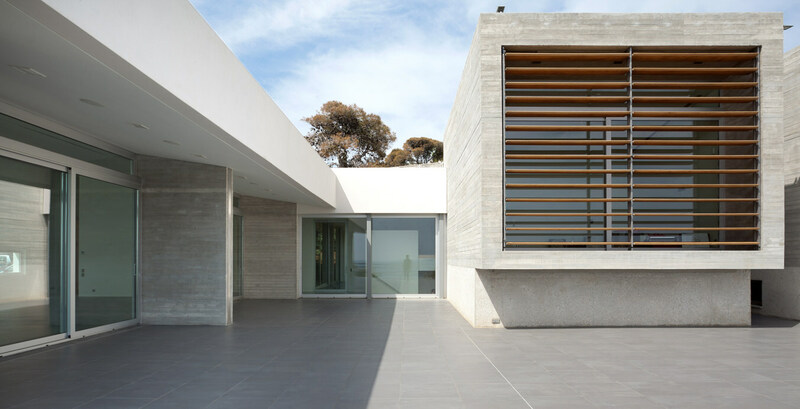 The fireplace, a free standing object, doesn’t obstruct the view of the sea which remains the focus of the living room even during winter.The materials used are limited and kept at their minimal functional treatment, bare concrete, plaster, grey tiles, wood and aluminum framed windows.